100% Deposit Back Guarantee for cancelations at any time and for any reasons (weather, mood, etc)! All you can eat and all you want to drink at Mr. Sanchos! 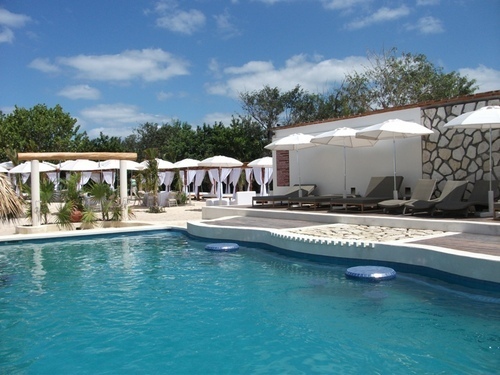 Access to all of the facilities including swimming pools, lounge chairs, hammocks, among others! 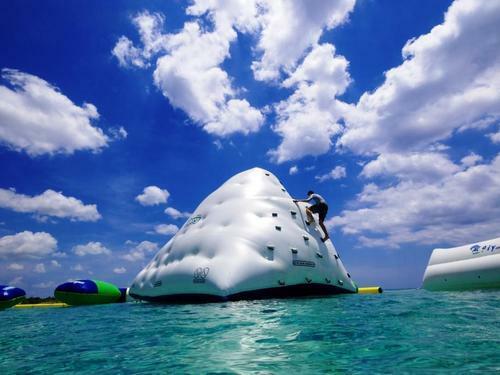 Table tennis, beach volleyball and more! Arrive and leave at any time, 100% flexible! 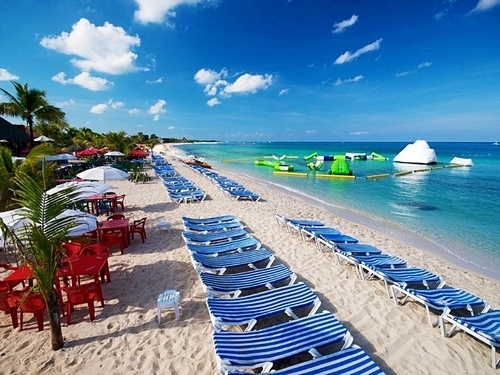 Maximum 450 daily bookings for the Mr. Sanchos All Inclusive Beach Pass, BOOK EARLY! 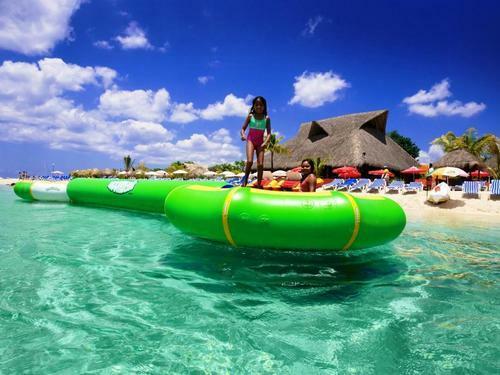 Enjoy one of the most popular all inclusive beach day passes at famous Mr. Sanchos Beach Club offering an original Mexican Caribbean atmosphere. At this white. 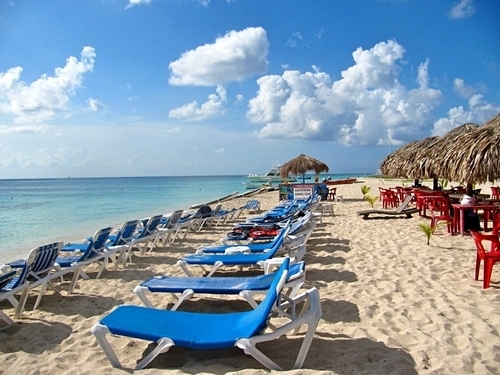 sandy, mile long beach we offer you the best value for a truly indulging Cozumel beach day pass including all you want to order from the menu and buffet (excluding lobster - $15.00usd, one per AI person), all you can drink bar (excluding imported beers, alcohol shots not served), ocean kayaks, lockers, private beach side tables with umbrellas, beach chairs, lounge beds, swim up pool bar, fresh water showers, changing rooms, beach volleyball, ping pong, hammocks, separate swimming area, and more! Some amenities require a refundable deposit. 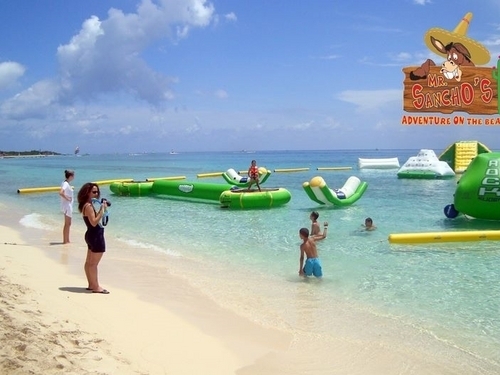 Available at extra cost at Mr. Sanchos Beach Cozumel you will also find snorkel equipment, shopping, massages, hair braiding, parasailing, jet skis, water park with climbing ice berg and water trampolines, boat snorkel trips, jungle ATV tours, jungle and beach horseback riding tours and more. 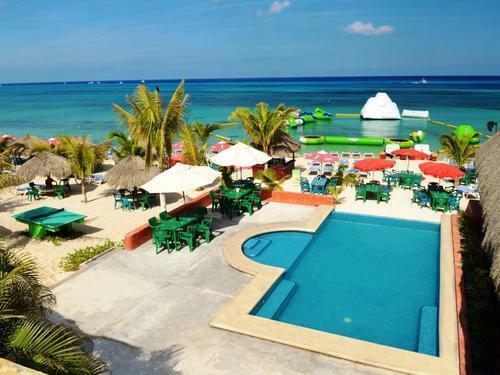 Get the best prices for Mr. Sanchos in Cozumel here!!! Mexican Salsa with Chips, Guacamole with Chips, Sanchos Nachos with Chicken, Beef or Shrimp, Caribbean Fries, French Fries, Seafood Soup, Cheese Quesadillas with Chicken, Beef or Shrimp, Coconut Shrimp (FAVORITE! ), Shrimp Cocktail, Shrimp Ceviche, Mixed Seafood Ceviche, Fish Fillet any Style, Whole Fried Fish, Tacos with Chicken, Fish, Beef or Shrimp, Chicken Fajitas, Beef Fajitas, Gourmet Hamburger with Cheese or/and Bacon, Chicken Breast Sandwich, Hot Dogs (turkey), Ice Cream, etc. Also available and new, a buffet is available apart from ordering from the menu at Mr. Sanchos Beach Club and part of this Mr. Sanchos All Inclusive Day Pass! Note: All water and ice is purified. Alcohol shots not served. 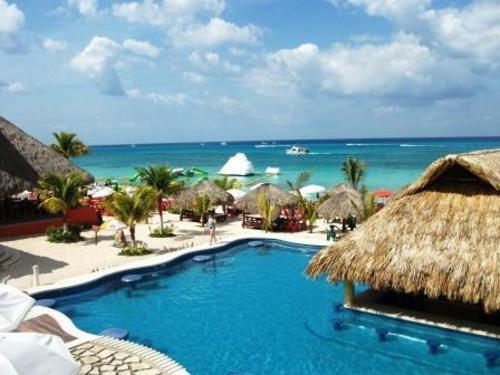 For the Cozumel Mr. Sanchos All Inclusive Day Pass Excursion we meet directly at Mr. Sanchos Beach (approximate taxi cost is $16 for a cab of 4 people, per taxi). 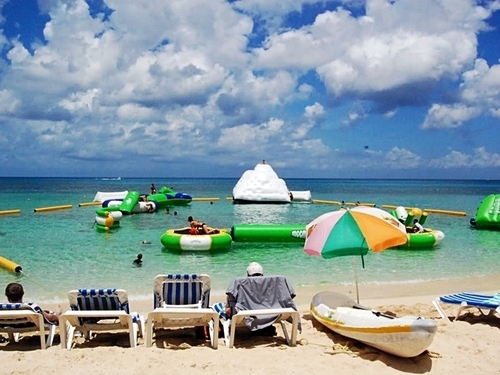 There are plenty of taxis available at the cruise terminals as well as at the beach club for your return. All details will be printed on your E-Ticket, please see timetable below. 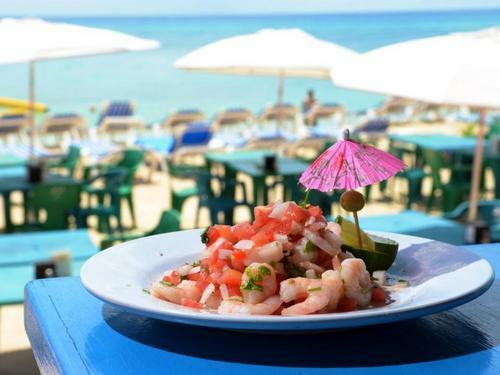 All you can eat at Mr. Sanchos Beach, ordering directly from the menu (except lobster - $20.00usd, one per AI person) AND from the NEW BUFFET (depending on amount of clients on that day)! All you want to drink from our open bar with international brands and top shelf drinks (except imported beers or shots). Hammocks and fresh water showers. Private beach-side umbrella at every table (other guest rent umbrellas for $12usd plus $10usd as a refundable deposit). 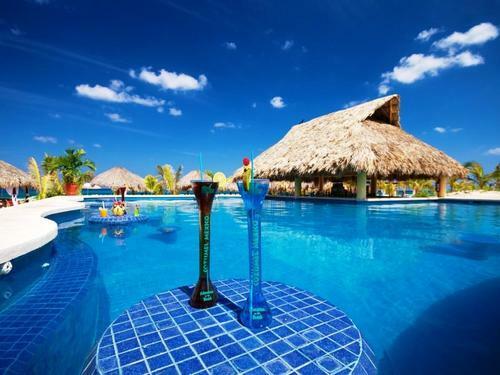 Swimming pools, 2 swim up pool bars with lounge chairs and umbrellas. 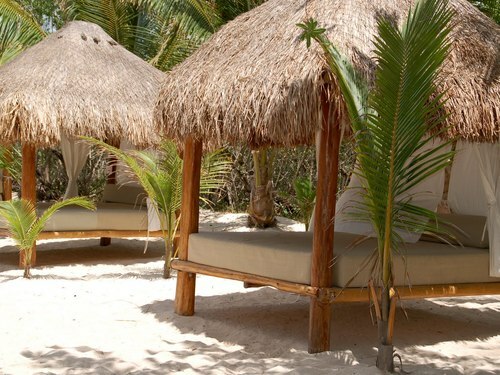 Private cabanas (depending on availability, otherwise cabanas can be reserved as part of the Mr. Sanchos VIP All Inclusive Romance Package). 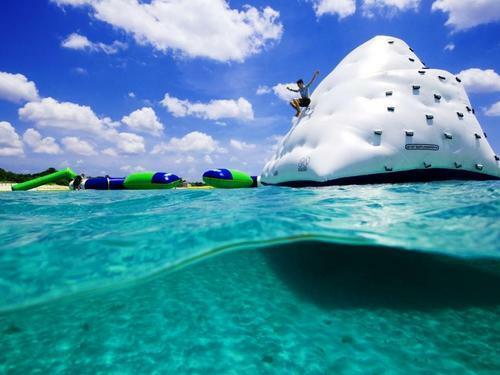 Ocean kayaks ($15.00 deposit, refundable). Lockers ($10.00 key deposit on site, you get the $10.00 back when returning your locker key). Beach umbrella by your lounge chair not included but available for $12.00usd and a $10.00usd deposit. 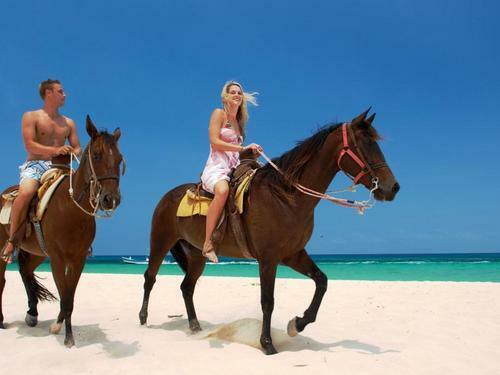 You are free to come and leave at any time, operational hours are from 9:00 AM to 5:00 PM local Cozumel time. 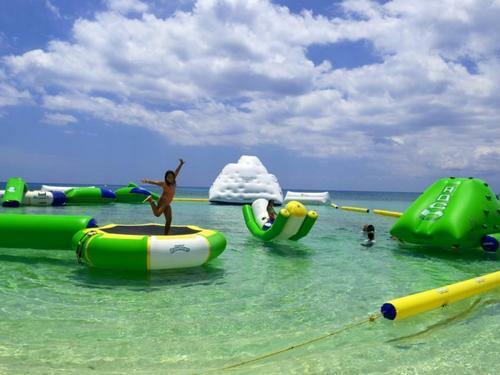 Towels are not included but available for rent on site for $5.00 USD and a $10.00 USD deposit (deposit refunded when returning towel). Please let your waitstaff know when you arrive if you require a special diet so they can try to make arrangements. 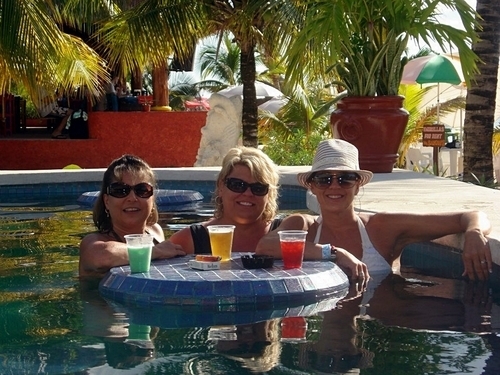 Food from the restaurant is available all day from 9:30 AM to 4:30 PM local Cozumel time. The buffet is set up only to reduce the wait time from the kitchen on those days with more bookings. Beach umbrella by your lounge chair is not included but available for a $12.00 USD rental fee and a $10.00 USD deposit (deposit refunded when returning umbrella). 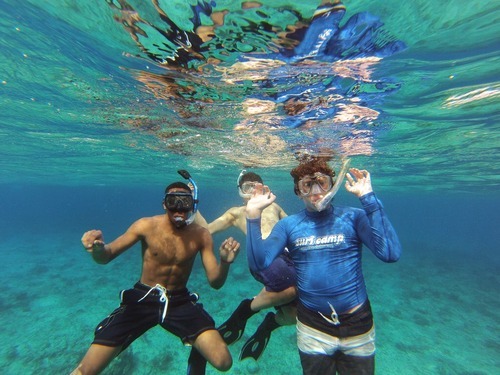 Snorkel equipment is available for rent ($15.00 USD rental cost to be paid on site) and a $20.00 USD deposit (deposit refunded when returning umbrella). 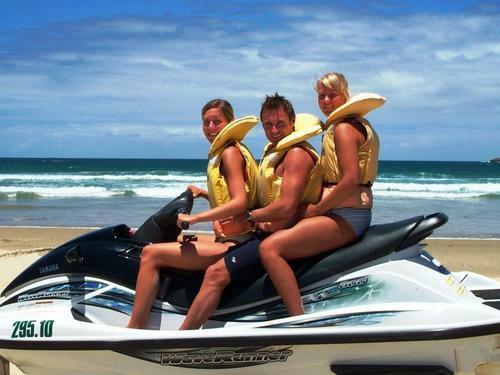 Banana Boat ride - $15.00 USD approx. booked onsite. The location of your seating is on a first come, first seated basis. Specific tables and chairs cannot be reserved. Roped off, reserved tables for groups is not available except for groups of 100+ however, there are special pricing and restrictions for those large groups. Please contact us for details. Please take note that the All Inclusive Day Pass section is separated from the "pay as you go" section (no entrance fee for "pay as you go" section). 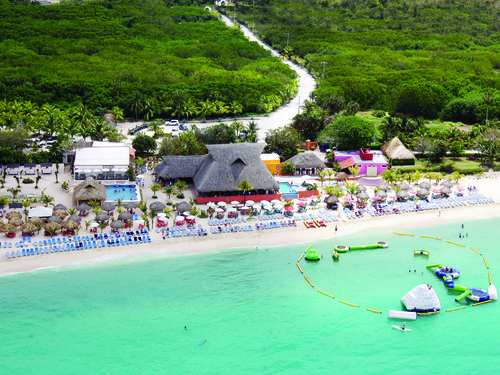 Mr. Sancho's provides for free a sand wheelchair to take guests right to the beach area and near the water. A. The smallest is for a 4 year old. A. 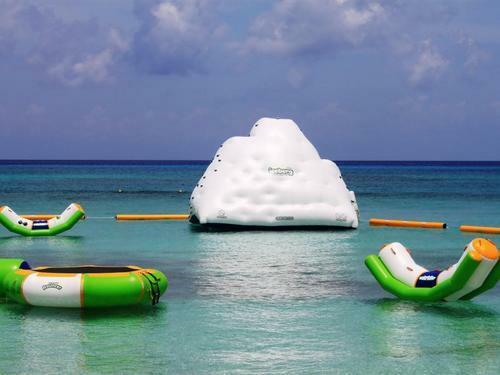 The beach excursion can be operated with rain. 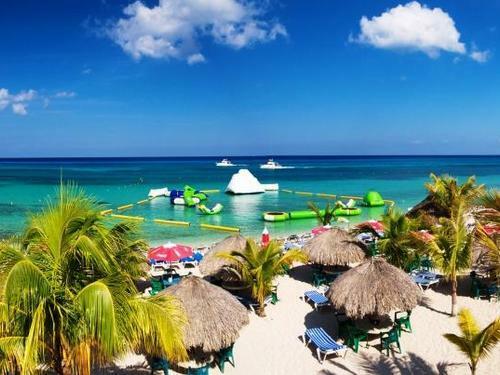 In case you decide not to use your all inclusive beach break or not go to the beach at all, simply contact us via email within 14 days of your excursion date for a complete refund. A. Specific tables or chairs cannot be reserved. 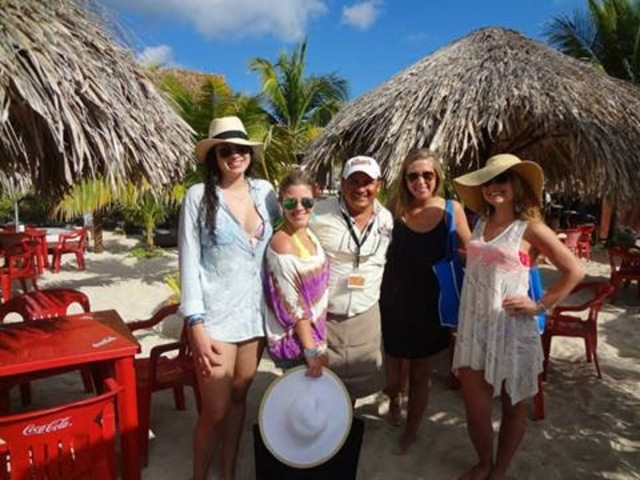 For groups of 100+ though, special accommodations can be made but there is different pricing and restrictions involved at Mr. Sanchos. Please contact us for details. 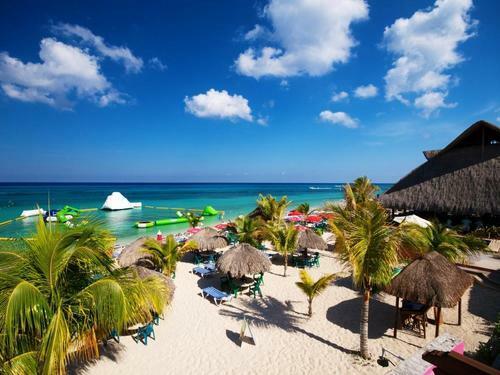 We have been to Cozumel several times in the past and visited Nachi Cocom and Paradise Beach. This time we chose Mr. Sanchos and could not be happier with our decision. 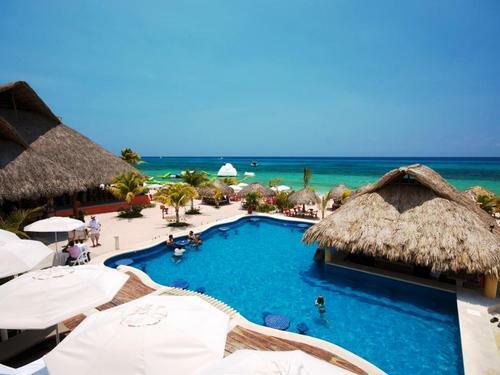 This beach club really rises above the others, the beach area was very nice, clean, the ocean superb, fun water park...and the drinks excellent. Our waiter Pedro made sure we always had a cold drink and kept the coconut shrimps coming! We had an awesome time and will return to Mr. Sanchos. Great staff and facilities! very good location, service and food/ drinks very good. Great easy place to hang out at all day. Good food and drinks. Plenty to do while there. Great time at Mr. Sanchos for our last cruise. 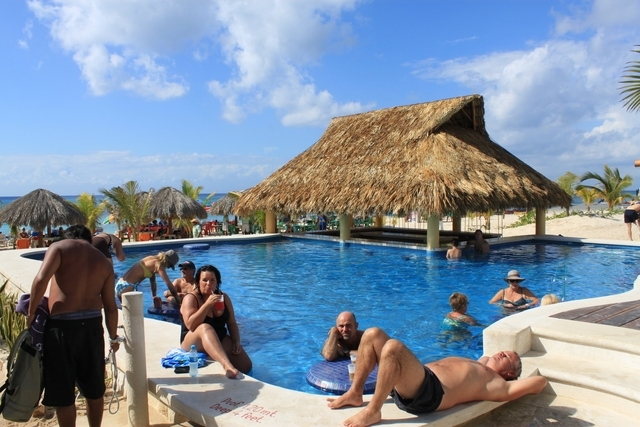 It was just what we were wanting with an all inclusive day with buffet and open bar. Ther is so much to do and lots of beach toys. we want to go back again next time! 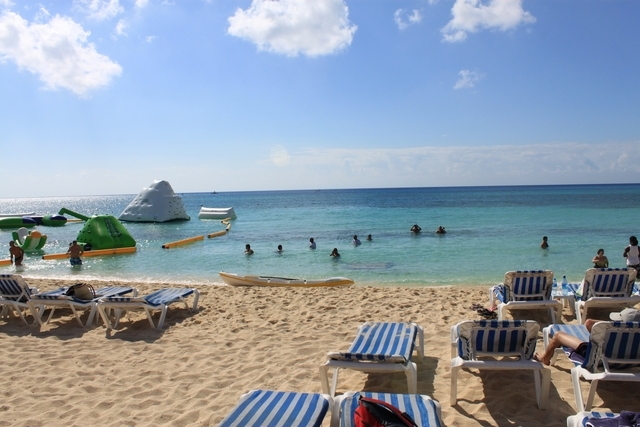 We spent our day in Cozumel off the Carnival Ecstasy at Mr. Sanchos Beach Club. It was just a 5 minute taxi ride from our port and from the moment we arrived we were well taken care of. The AI package was well worth it and the best thing was, no check at the end :). Food was great and drinks plentiful. We gave our waiter a $20...he really took great care of us all day long. Mr. Sanchos was awesome, we read a lot about this beach club on cruise critic and finally had a chance to check it out. 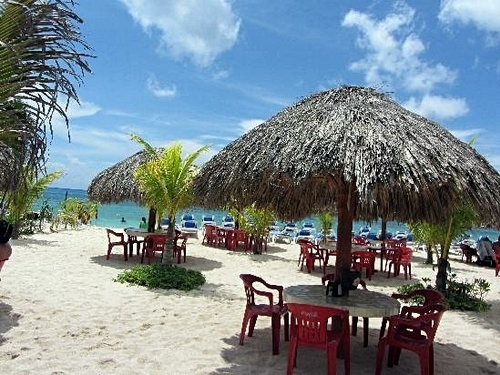 Great service, food and drinks were excellent and the beach itself second to none! 2014 Cruise - Love it! My girlfriend and I went to Mr. Sanchos with a group of friends and of course we chose the all-inclusive package. 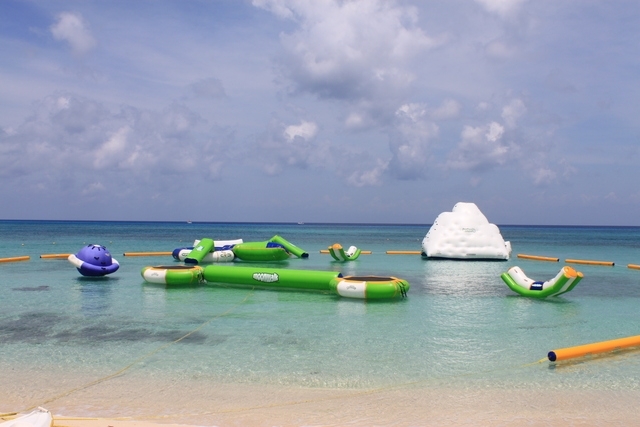 We loved the beach area and the fact that they have everything you need to have fun. 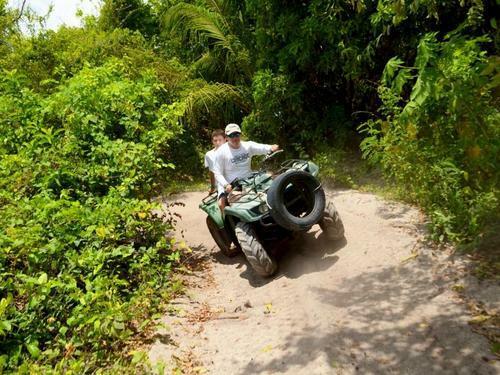 Some of us took an ATV tour and one of the girls went horseback riding. That was a fun day and we will book them again!